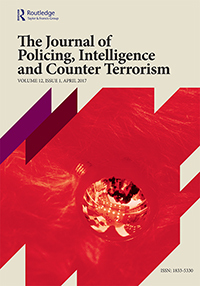 This paper provides an overview of the current state of terrorism in Pakistan. It argues that the Pakistani state’s complex relationship with militancy and terrorism is complicated by three long-standing drivers. These are (1) a profound obsession with and fear of Indian aggression and encirclement among the military and intelligence communities that has led to the periodic support of violent groups and actors in neighbouring Kashmir and Afghanistan; (2) a growing affinity among civilian and military communities with extreme, conservative, and exclusivist forms of Islam that sometimes tacitly support violence; and (3) despite successful counter terrorism operations by the Pakistani state against groups such as Tehrik-e-Taliban Pakistan, the continuing strategic use of extremist organizations within Pakistan by foreign powers and domestic politicians in order to meet short-term political objectives. Through conducting a survey of current terrorism trends related to Afghanistan, Kashmir, Baluchistan, and the growth of domestic religious extremism at home, it is shown that the Pakistani state remains highly vulnerable to the corrosive effects of violent extremism, not least its ability to threaten Pakistan’s relations with important allies and investors such as the US and China.